Is A New Year Detox In Order? Getting a clean start for the year isn’t a bad idea, but a fad detox that’s radical and unhealthy doesn’t fit into anyone’s idea of a healthy way to treat your body. Luckily, there are many different types of detoxing and a mild one can be quite beneficial. It can be anything from intermittent fasting to ultra clean eating to give your immune system a boost and start the year right. Here are some techniques I suggest to clients in Stamford, CT that will boost your energy and give you a head start. An intermittent fast is a short fast. It can be as simple as eating your meals within an eight hour window and not eating for sixteen hours. Other types of intermittent fasting may be fasting for one day a week or eating light two days a week and then healthy normal meals other days. When you combine fasting with drinking 12 to 18-ounces of warm water each morning, you’ll have a detox that flushes you system, while providing other health benefits. That warm water should be pure and free from chemicals, so you may need to get a good source of bottled water that’s chemical free. Intermittent fasting has shown to have many health benefits, besides aiding weight loss. No matter what type of mild detox you do, make sure you cut out processed foods. No matter whether you’re fasting or not, processed foods have no place in your diet. I’ve actually seen people fasting for health only to grab a few chips when it was time for them to eat. The idea of a detox is to eliminate the toxins in your body, so adding more is counterproductive. Eat more fresh vegetables and less meat. Go for grassfed beef or wild fish when you do. 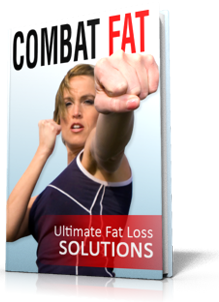 Eliminate dairy, gluten, sugar, corn and soy from your diet on those fasting days. A detox that involved purging of any kind isn’t healthy. I don’t care what you read, taking substances to get diarrhea and purge your colon really aren’t healthy. Any type of cleanse or detox that involves pills, laxative teas and those types of things isn’t a healthy route to take. Switching to a primarily vegetarian diet or focusing on eating light some days, drinking more water and cutting out processed foods is both healthy and smart. 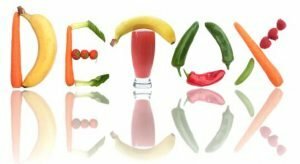 One particularly good detox that I endorse is the sugar or simple carb detox, which eliminates most simple carbs, including drinks and foods that contain refined sugar, fruit juice and milk products. After light eating or a modified short fast, where you also cut out sugar, you’ll be amazed at how sweet fruit really tastes. Rather than a “detox” diet, consider it a tastebud reset. Check the hygiene products you use. Many toxins are absorbed through the skin. Look for natural soaps, shampoos and beauty products whose ingredients don’t read like a list of lab ingredients. When you’re detoxing, make it complete. Get plenty of exercise and sweat! You’ll feel better and burn off the hormones of stress. Exercise is important and one reason you shouldn’t do a radical detox. They leave you weak. Get adequate fiber during a detox and plenty of sleep. Both are important to keeping you healthy. It’s also great advice even when you’re not detoxing.